How do you respond to the needs of each street, achieve consistency whilst balancing the needs of pedestrian and vehicle activity? Fort Street Area spans three city blocks and includes a combination of shared space, conventional street types and laneways. 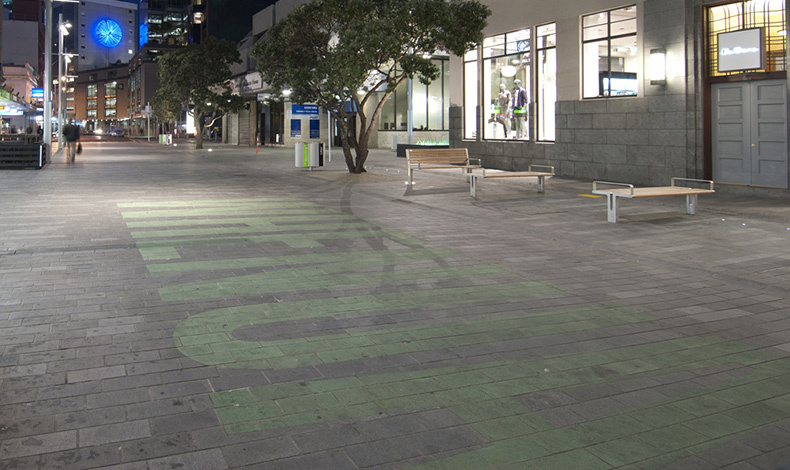 The redevelopment has a strong pedestrian focus based on Auckland Council’s placemaking agenda for the central area. The finished design achieved a cohesive streetscape environment, whilst celebrating the history of this former foreshore. Site specific detailing allow for human scale interaction with the spaces within the precinct. Fort Street includes both conventional and ‘shared space’ streetscapes which are among the first in the country to be resolved as designated “Shared Zones”. The shared space areas of the precinct demonstrate highly innovative and new achievements in street design locally and internationally. In 2011, the NZ Herald ranked Auckland Shared Spaces as no.1 in its Top 50 Best Things About Auckland. Boffa Miskell landscape architects have been fully involved in design innovation that has led to this transformation. Lead consultant, landscape and urban design, Site supervision (NZS3910 Engineers Representative).